If you’ve tried my Paleo Chicken Gyros you know I love a good gyro! But, let’s be real, what I REALLY love is the tzatziki sauce! Me + sauces = a match made in heaven. However, sometimes we don’t have time to fix the full monty of a gyro sandwich from top to bottom. 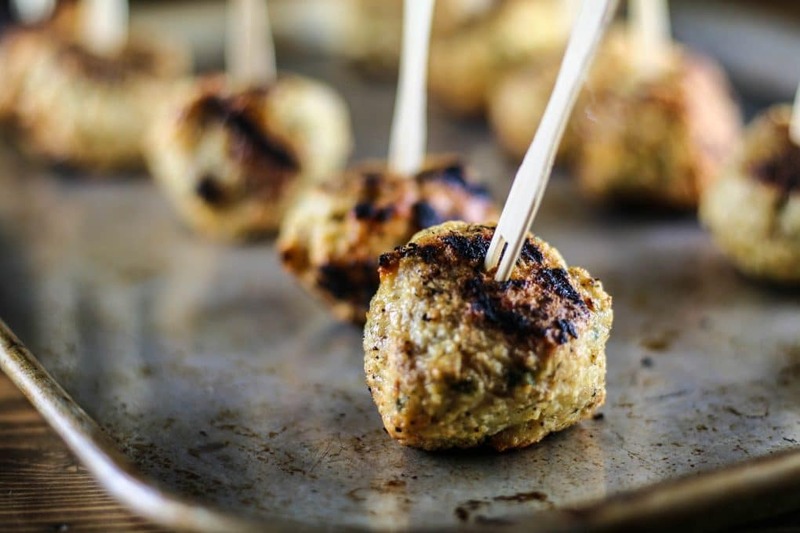 Enter the grilled gyro meatballs. This is another summertime recipe that is quick, easy, and you won’t have to heat up your kitchen. 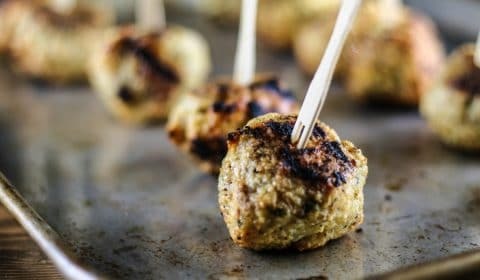 Throw these meatballs on the grill and you’ll have the taste of a gyro sandwich in under 10 minutes. These can be grilled ahead for a quick lunch, or you can bring these to your next neighborhood BBQ as the perfect finger food appetizer. What sets these apart, in my opinion, is the use of Primal Palate’s Super Gyro seasoning. This stuff is THE. BOMB! This seasoning is the perfect Mediterranean mix to give you that full flavor of your favorite Greek gyro. I also used ground chicken for these gyro meatballs. I prefer ground chicken over ground turkey in order to get that gyro flavor. And what’s a gyro without the tzatziki sauce?!? This sauce is dairy-free and Paleo approved. In the words of my husband, “This is one of the best recipes you’ve fixed.” That counts for something, right? 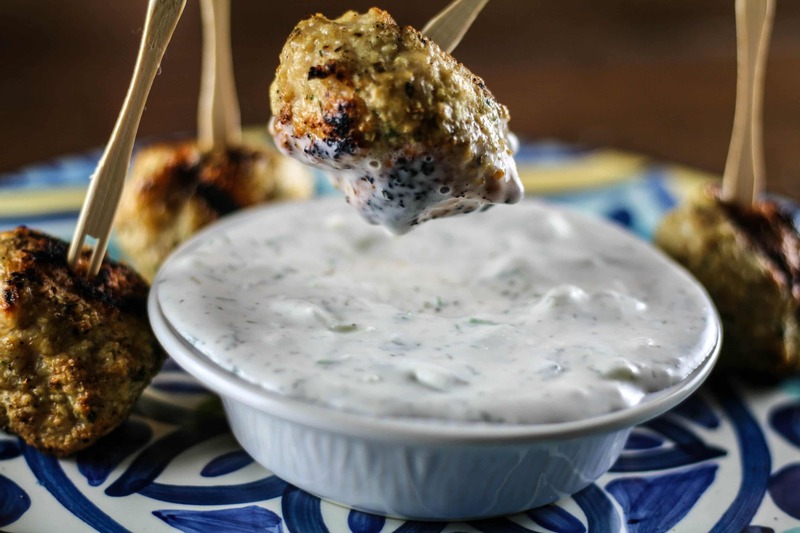 Mix up the tzatziki sauce recipe ahead of time and store in the refrigerator until ready to serve. Mix ground chicken, egg, bread crumbs, Primal Palate Super Gyro seasoning, and lemon juice in a medium-sized bowl. Using your hands, mix all ingredients well. Form into 1 inch balls and place onto baking sheet. Preheat grill to medium heat, grill meatballs until chicken is cooked through, approximately 10 minutes (5 minutes per side). Rotate meatballs to prevent from burning. 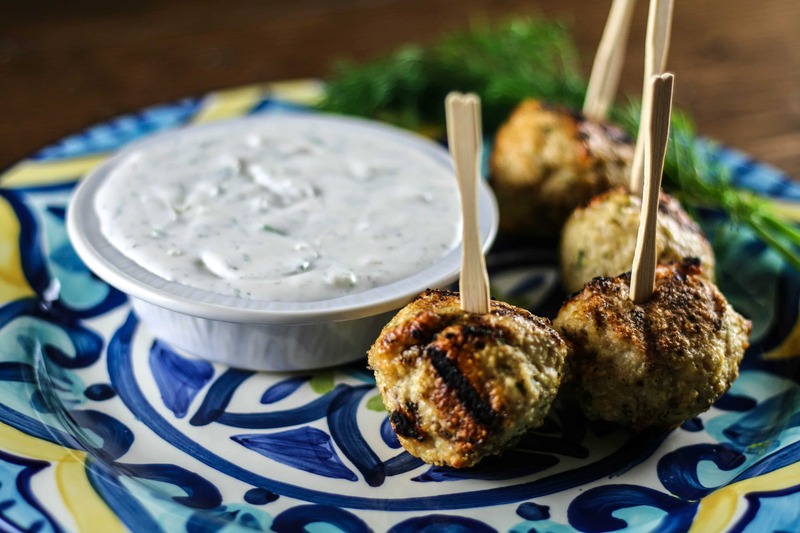 Serve meatballs with tzatziki sauce.